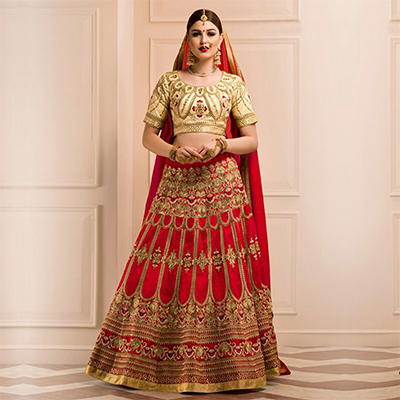 This graceful Lehenga in beige - red colored is beautifully decorated with delicate detailing of embroidery zari work & color combination that reflects the richness of the outfit. The outfit consists of banglori silk lehenga & blouse santoon inner & georgette dupatta. You can wear this lehenga choli for a wedding or you can wear it for an engagement ceremonies.